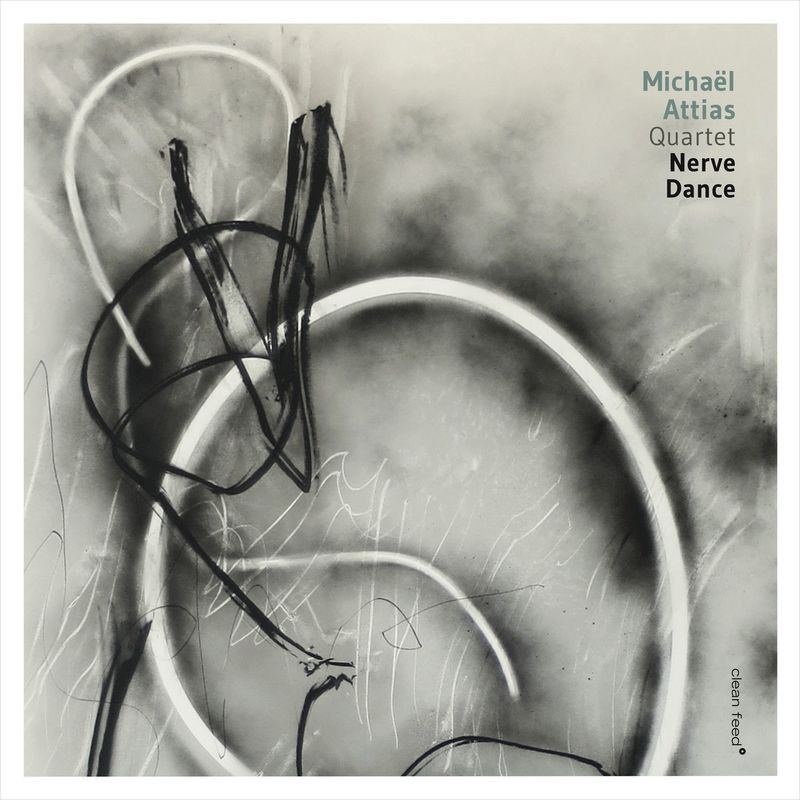 Michaël Attias Quartet: "Nerve Dance"
Saxophonist-composer Michaël Attias has studied and played with two masters of structure and space, Anthony Braxton and Paul Motian. 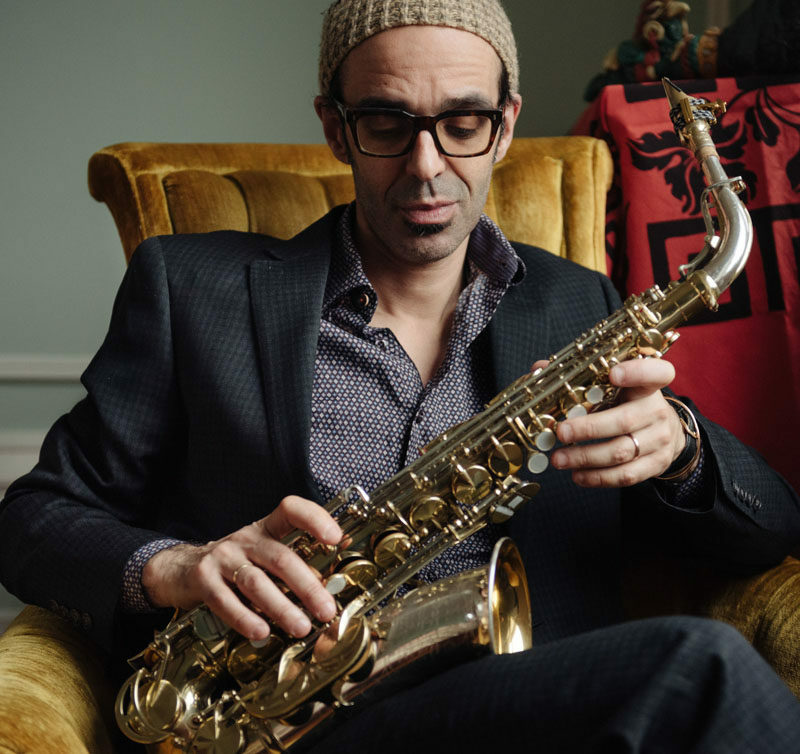 To the extent he is a traditionalist, Attias reveres Bird, Coltrane and Ornette not for their place in the firmament, but for their willingness to take risks. On Nerve Dance, Attias has assembled an ideal ensemble to wield these concepts of structure, space and risk, and forges a potent, relentlessly unpredictable synergy. The 11 original compositions play out like an Escher mandala. 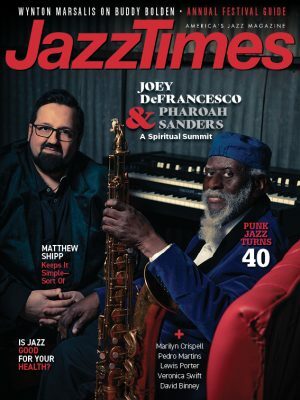 The opening and closing tunes feature a 3/4 time signature: The first, “Dark Net,” has drummer Nasheet Waits delivering a tour de force on an Elvin Jones-inspired six-beat phrase; the last, “Nasheet,” is a tribute to Waits by the ensemble’s bassist, John Hébert. Another thematic echo occurs with three other songs. “Nerve & Limbo” deploys aggressive and then atmospheric approaches to the same harmonic material. The “nerve” segment is reprised on “Le Pèse-Nerfs,” and the “limbo” segment gets revisited on “Ombilique.” A final conjoining occurs when Attias plays solo on alto and piano for “Boca de Luna,” which introduces the ensuing “Moonmouth,” a delicacy made sumptuous by pianist Aruán Ortiz despite hewing to 17/8 time. All these interconnections are submerged in a glorious group enterprise. The Attias Quartet performs with the confident understanding that structure and space are ultimately just tools for risk. That savvy ambition is what makes this Attias’ best disc and most exciting ensemble to date.